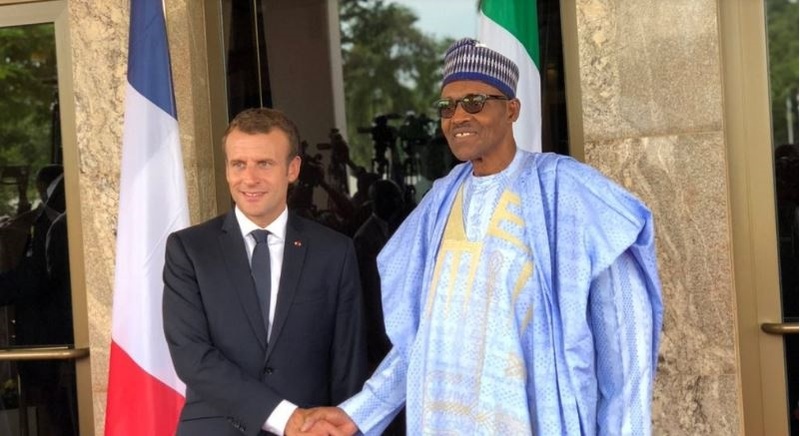 President Muhammadu Buhari on Tuesday received visiting French President, Emmanuel Macron, at the Presidential Villa, Abuja. After leading some top government officials to receive him at the forecourt of the Presidential Villa, Buhari later led his guest into his office where they held a closed-door meeting. They are expected to address a joint press conference at the end of the meeting. The French leader is expected to visit the Afrika Shrine, a nightclub in Lagos founded by Nigerian music legend, Fela Anikulapo Kuti, on Tuesday, the state government has announced.